Knee replacement surgery or arthroplasty surgery is a medical procedure doctors perform to correct, restore, or relieve the pain associated with diseased or deformed knee joints. 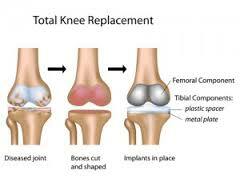 The doctor performing the surgery is often a specialist in the area of knee replacement surgery. The doctor goes into the operating room fully prepared and ready to go. 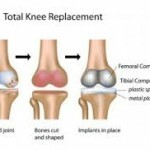 Why Knee Replacements are Necessary? Knee replacements are necessary when the cartilage in the knees wears away. This type of surgery is often the only choice for people with severe, irreversible knee damage. Having a knee replacement adds quality of life to individuals, and enables them to enjoy all the benefits of exercising and walking. In some words, they can continue to experience a long healthy life. People who receive a knee replacement have a history of chronic knee pain. They have problems walking for long periods, they have problems climbing a set of stairs, and problems getting up or standing, once they sit down. Most serious cases of knee replacement surgery take place when people have knee joint damage due to various forms of arthritis. This includes rheumatoid and osteoarthritis. The surgeon removes the damage parts from the knee, which are the cartilage and the bones. The doctor then replaces these parts with artificial man made materials. The artificial parts contain both plastic and metal. The impartial knee replacement surgery may only replace one portion of the knee joint. As with any surgery, there is always the risk of complications. Infections, blood clots, and scarring can occur. A knee replacement restricts patients from jogging, running, and other high intensity sports. Too much pressure on the knee joints can cause the materials (Plastics and metals) inside the knee to wear out or give out.